The Lexus RX series has had a chequered history, although this has nothing to do with the quality of the cars themselves but rather what they've had to compete with over the years. 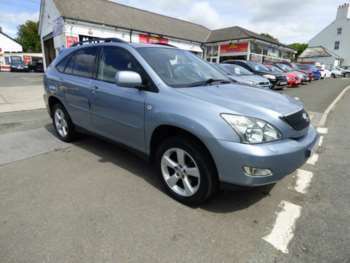 The first model, the Lexus RX300, landed in 2000 and for a few weeks it was the talk of the town. But Lexus found its parade thoroughly rained off when BMW was discourteous enough to release the X5. The RX300 was at something of a disadvantage given that it was actually based on a 1997 model released under the Harrier nametag in Toyota's native Japan. However, its luxury, imposing presence and relative affordability on the used market have helped it to survive. 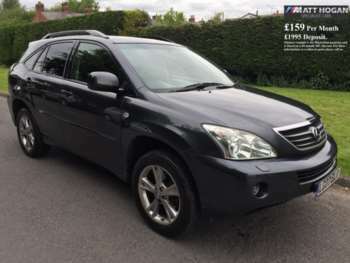 The second generation Lexus RX300 arrived in 2003 and like its predecessor it wasn't really aimed at off-roading, but instead combines class and comfort that makes it a great all-round road warrior. 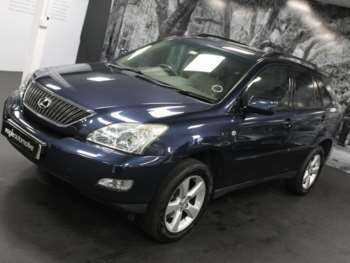 Lexus has augmented the used RX range in 2005 and again in 2009 with the release of the 400h and 450h, both of which have brought some much-needed economy to what is normally a gas-guzzling section of the market. These two models possess hybrid engines which use both petrol and an electric motor in order to give you great performance on the motorway and on urban roads. As well as getting you into the Congestion Charge zone for free if you happen to live in London, this hybrid approach means you can get diesel-style fuel efficiency without having a noisy, dirty power plant chugging away under the bonnet. The first generation used Lexus RX300 definitely shows its age today, but in some ways it is all the more charming for this pseudo-retro styling. It seems a little more compact from the outside than its closest rivals, although the interior is definitely spacious and adult passengers will never feel cramped, no matter what their inner leg measurement. 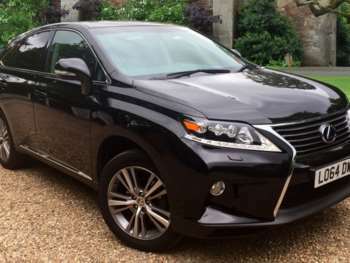 Up front, the driver gets a good high position for surveying the road ahead, with all models of the approved used Lexus RX range featuring a similarly good level of equipment, with different trim levels helping you to differentiate between the better stocked options and the base models. 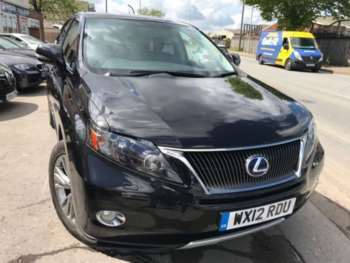 The fully-loaded second gen Lexus RX300 SE-L comes with rain-sensing windscreen wipers, a full sat nav system, rear view camera for reversing and even glass which repels the water when things get a bit wet. 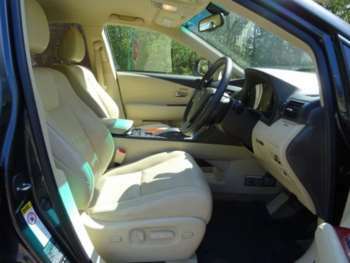 Safety has also been consistently solid throughout the Lexus RX for sale range, with myriad airbags arrayed around the cabin to keep everyone as safe as possible. Even knee bags are included on certain models made after 2003. 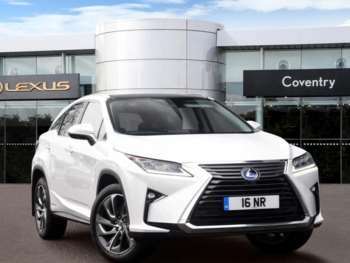 Because the used Lexus RX range has always had to take a backseat to models from BMW and Mercedes, it does give the used buyer a little more room to manoeuvre in terms of pricing. There can be some significant variations, but early model RX300 cars for sale will sell for between £3000 and £5000. The second generation models can cost closer to £10,000 and rise even higher if you want a particularly recent iteration. Meanwhile the hybrid used Lexus RX400h and 450h will be considerably more expensive, both because of the technology and the relatively recent release. Don't be surprised if you have to pay £18,000 to £25,000 for the privilege of owning one. 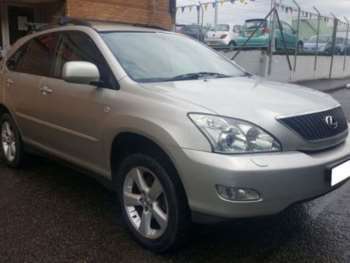 As with any used car you should give a second hand Lexus RX for sale model a thorough going over, checking up on things like service history and also running the VIN number through the system to ensure you are buying a legitimate car. 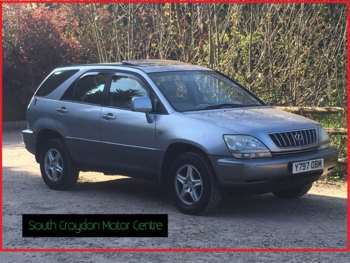 As long as the RX in question has not been used by an over-enthusiastic and somewhat foolhardy off-road fanatic, then the mechanics and trim should all be quite sound, regardless of the model chosen. Brake pads and headlamps are affordable, costing £60 and £175 respectively. Meanwhile the exhaust will hit you for £850, which is a price that doesn't include the catalytic converter. You'll get excellent fuel economy from the Lexus 400h and 450h, but the RX300 is a little less kind when it comes to petrol consumption. However, every RX iteration offers a smooth driving experience and even a decent amount of power, with the 400h pumping out 272bhp and getting you to 60 in 7.4 seconds. Got a specific Lexus RX model in mind?